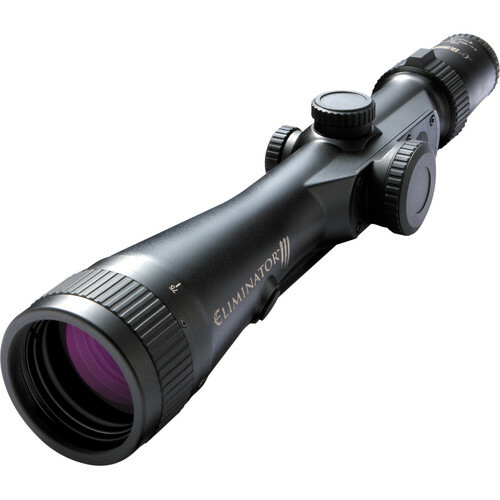 When every second counts the Burris Optics 4-16x50 Eliminator III Laser Rangefinder Riflescope eliminates the need to waste time switching between your rangefinder and rifle - just tap, adjust your aim, and pull the trigger. Optically, it is outfitted with a wide and versatile zoom range and an objective that has excellent low-light capabilities for accurate target identification at dawn and dusk, or under a heavy canopy. Index matched, multi-coated optics further boost the low-light abilities while also improving color rendition and contrast. The laser rangefinder accurately ranges targets from 50 to 1200 yards, and is complemented with a built-in inclinometer that measures the upward or downward angle relative to the target. 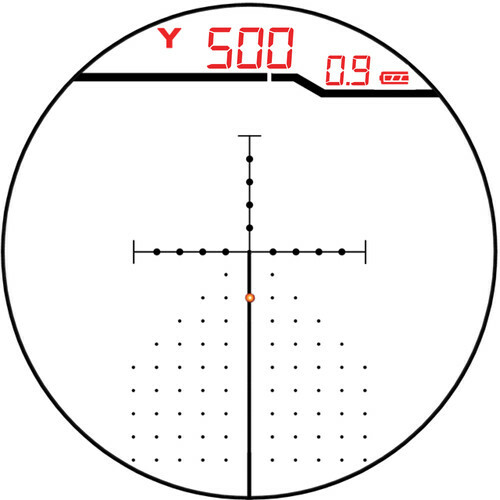 A bullet drop compensation system that uses the measured range, angle, and the user-inputted information on the cartridge in use, to activate and illuminate a adjusted aim point on the reticle. The scope can be programmed for hundreds of commercial loads or, if shooting custom rounds, users may choose a commercial load with specs most closely matching the custom rounds. Designed to withstand the rigors of the wild, the housing is made of durable and lightweight 6061 T6 aluminum with a scratch and corrosion-resistant matte-black anodized finish. Its one-piece main-tube is nitrogen-filled and O-ring sealed to give it waterproof and fogproof performance. For a solid connection, the scope mounts on standard Picatinny/Weaver rail systems. This version of the Eliminator has ergonomically-placed activation switches on both sides of the housing directly behind the objective bell. This enables easy activation with a simple movement of the support hand. Eye Relief 3.5 - 4.0"
Box Dimensions (LxWxH) 20.236 x 4.724 x 4.095"